I had the incredible opportunity last week to participate in a poverty immersion. With so many uninsured and underinsured getting ready to enter the healthcare world in just a few years, the simulation was a chance for those providing healthcare to gain a better sense of their lives. It by no means could ever replicate it, but I was surprised at the choices I made and the feelings that emerged. The immersion started with me as a dad in a family of four. I was laid off for months without health insurance, with a full-time working wife, a seventeen year old pregnant daughter, and an eight year old son. The object was to get through four 15-minute periods each representing a week with as much of my family needs met as possible. Suffice to say, I chose to keep my 17 year old daughter home for one week to watch my suspended 8 year old, so that I could go to social services to get food stamps. Everyone who participated shared similar thoughts…mostly amazement at the choices we were forced to make, and how complicated the safety net was. It built a whole lot of sympathy, and more importantly got the room thinking on how services might be more seamless, timely and precise. And that is what a good simulation should do. Don’t over simplify. We as designers and facilitators often try to make the experience as easy as possible. Why?!? Life is complex and we’re dealing with smart people. They’ll figured it out. Allow sufficient time. I groaned at hearing the simulation was 2 hours long. TWO HOURS. Well, that turned out to be the right amount of time. Two hours, allowed the participants to not only get into role, but be the role….for a long time. About a third of the way through I stopped being me and was really worried about my simulated family. It also allowed me to start optimizing my life because I was in the simulation long enough. Low fidelity works. This was a great reminder just how low we can go. 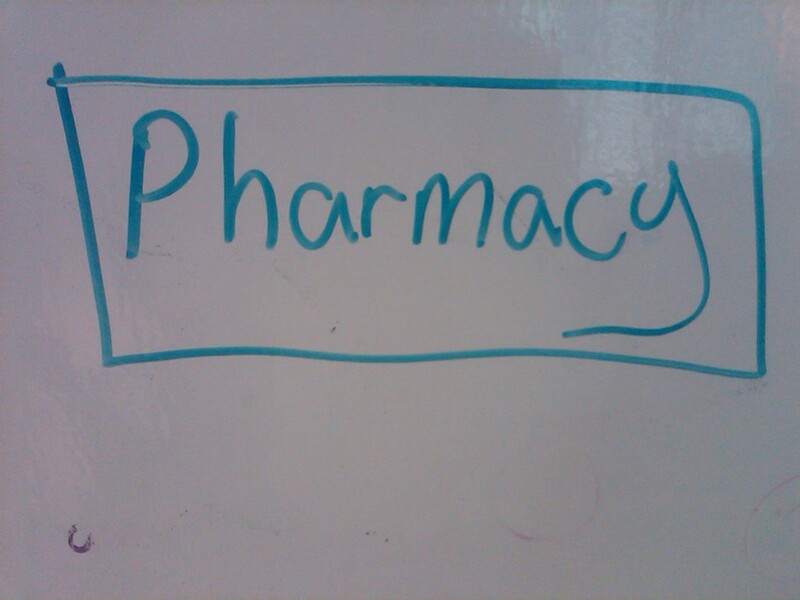 For a pharmacy, there was only a piece a paper with “pharmacy” written on it. For a bank, “bank”. Simple, but such powerful associations that nothing more was needed. Why waste on time on tasks that our brains are so powerful at doing for us. The Innovation Learning Network made the gossip columns and I couldn’t be prouder. The “gossiper” grabbed a hilarious quote from a great collaborator, Kevin Colin of Via Christi Health (http://bit.ly/9tECXK). Another article spends the first three paragraphs describing the space and environment followed by the same quote (http://t.co/R2lTbm8). What both of these reporters picked up on was the relaxed atmosphere that was created for these two collaborators to candidly share their experiences. This “atmosphere” is called hygge pronounced (hyoo-ga) and it was very intentional. Hygge is Danish. I stumbled on it while completing my MBA at Copenhagen Business School. The city of Copenhagen oozes with hygge. The best I can describe it is warm, cozy, comfy and content. The official Danish tourist website spends 14 paragraphs trying to explain it. Suffice to say it doesn’t really translate into English. I use hygge for re-imagining how healthcare should be. I use hygge to create both my work and home environments. I use hygge to welcome co-workers and friends into experiences. I use hygge when I cook and entertain. 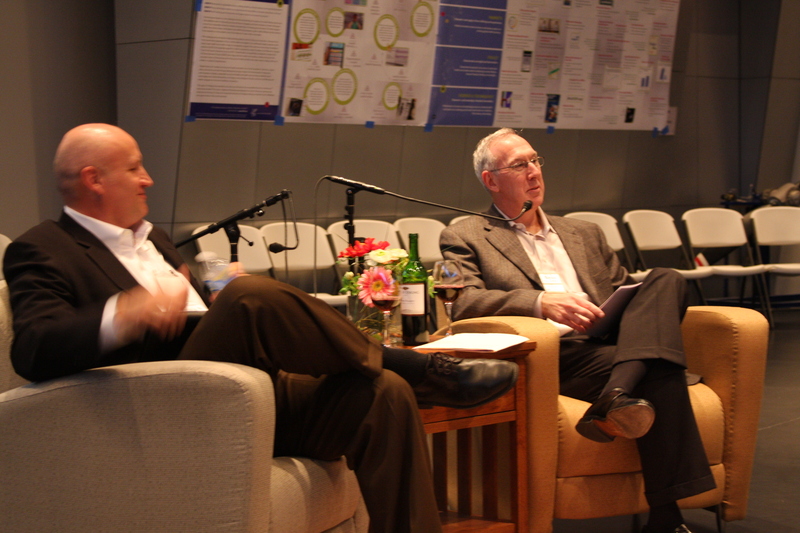 And I ALWAYS use hygge when constructing the semi-annual Innovation Learning Network InPerson Meeting where these two collaborators gave us that newspaper worthy “fireside” chat. Wanna give hygge a try? Pull some cozy chairs together, gather a few people that you are fascinated by, dim the lights, light 5 candles randomly placed, and uncork a good bottle of red wine. Finally take a deep breath….smile. And feel the hygge.